I love teaching my toddler at home! So far, we’ve got the numbers 1-10 pretty set. My little dude knows triangles, circles, and squares. Plus he’s got a swoon-worthy ABC song down pat. Learning colors, however? Colors are a whole different story! Why is it so difficult to teach colors? For my money, I’d say it’s because the concept of color is so abstract, especially for toddlers. Think about it, he just figured out that those things on his feet are called socks, and now they’re blue socks, and white socks, and gray socks too?! There are just so many variables to learning colors. 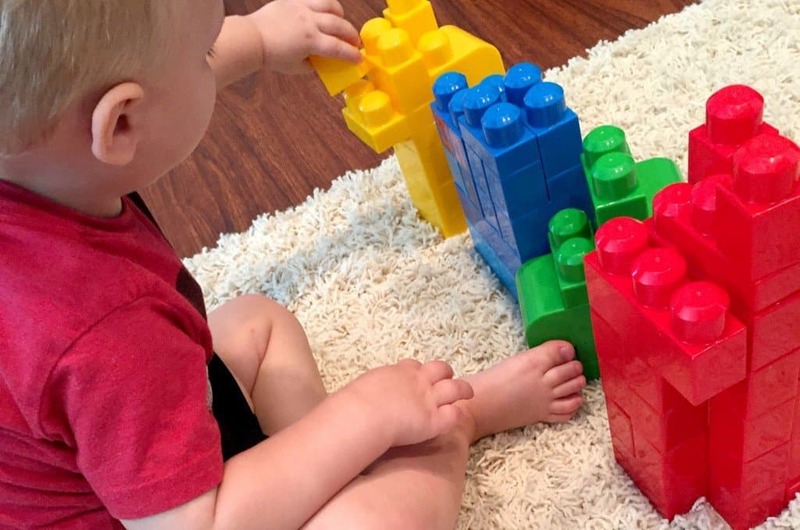 It’s hard work, but you can teach your child colors with Mega Bloks! The key here is patience, patience, patience. 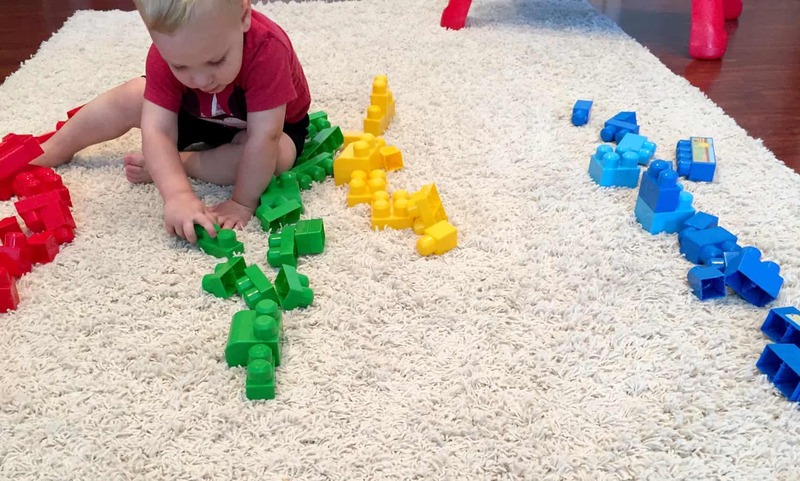 Part of my game plan to teach my toddler color concepts is to take this abstract idea and make it more concrete and interactive when possible. For my little guy, this means hands on, gross motor fun! I want to share with you these games I came up with recently. 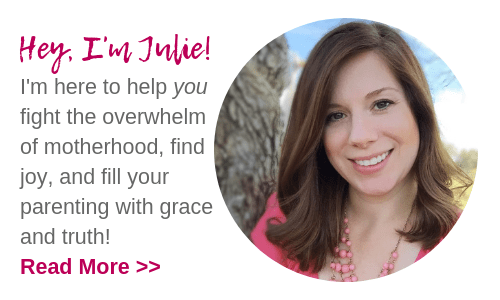 All you need is one energetic and compliant (ha!) toddler and one bag of multi-colored Mega Bloks. I LOVE our Mega Bloks because they encourage open-ended and imaginary play. They’re a classic for a reason, and I highly recommend getting some of your own! 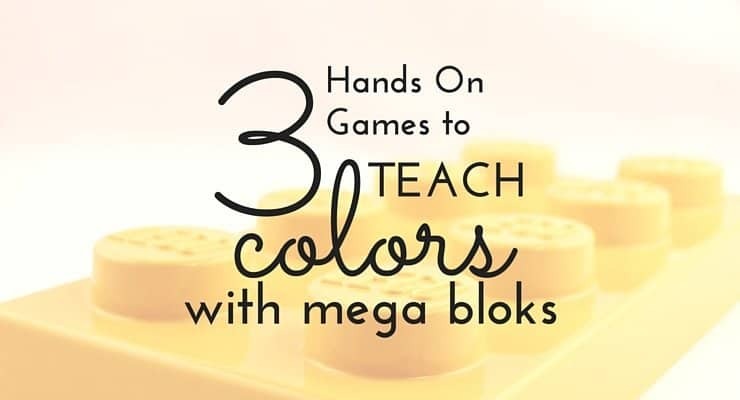 Check out these three fun games to teach colors with Mega Bloks! 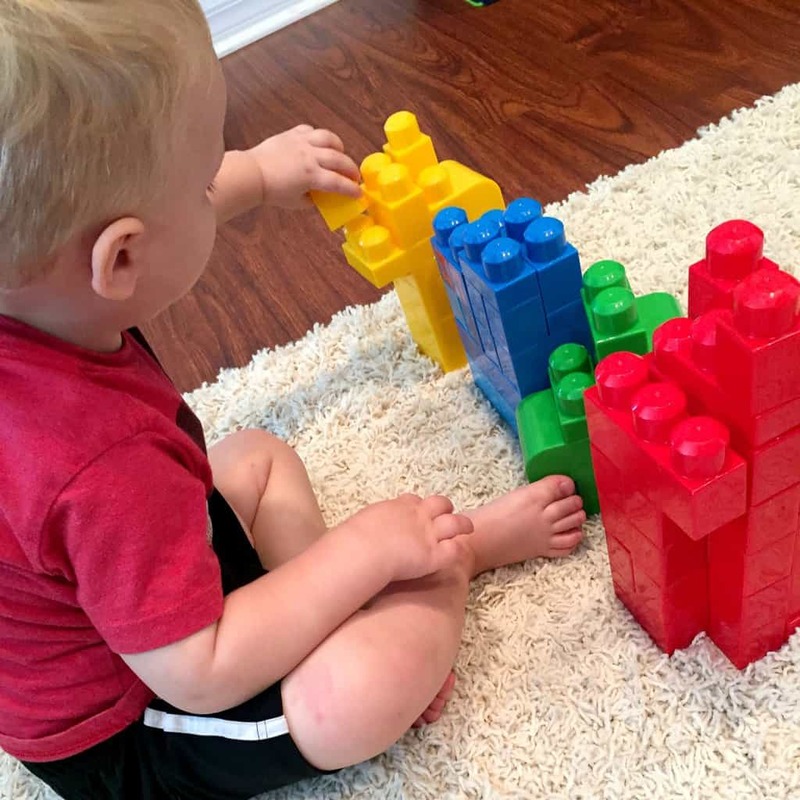 Build a few short towers using the different colors in your Mega Bloks set. 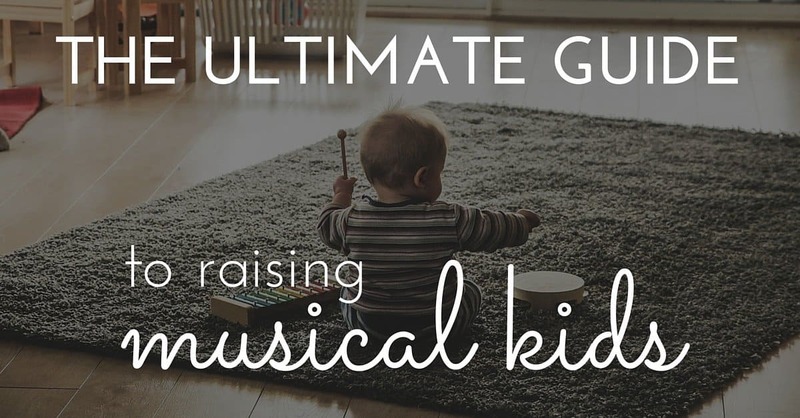 Line the towers up in front of your child. Encourage like crazy when they get it right, even if it’s just pure luck! This second game takes the cognitive level up a notch. This time, instead of handing blocks one by one, your child will have to choose the blocks himself. 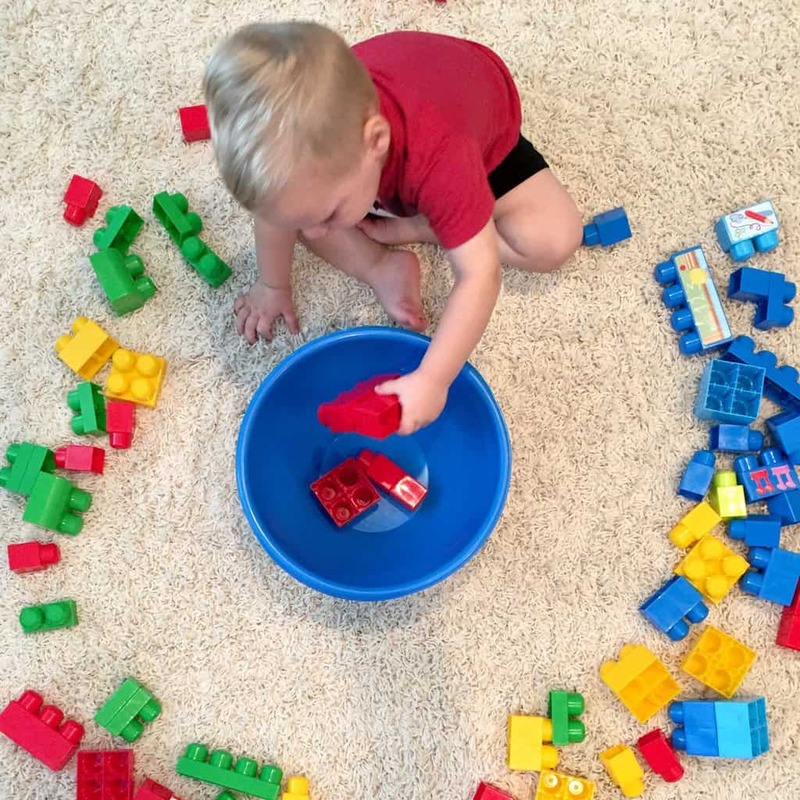 Make a big circle and scatter blocks randomly around a bucket or bowl in the center. Choose one color at a time to focus on. Help your child sort just that color into the bucket. Alright, once again we’ll bump up the thinking power in this third game! This activity requires complex thinking about multiple colors at once. Plus, it factors in goal setting and creative thinking too! Extension Idea: Once your trains are built, compare and contrast! Which is longer? Which is shorter? Vary using the descriptive color word both before and after the noun. (That is a black dog. OR… The dog is black.) This helps to aid comprehension. Relate colors to everyday life. Talk about the colors of things you see throughout your normal day. If your child is focused on a particular color and insists that everything is blue, just go with it! Focus on pointing out things that are that specific color. Move on to other colors at a later time. Keep it fun! Hands on color games like the ones above are just one of the many ways to keep it relaxed and easy. No one learns well under stress. Just be patient, your little one will be a color master in no time! 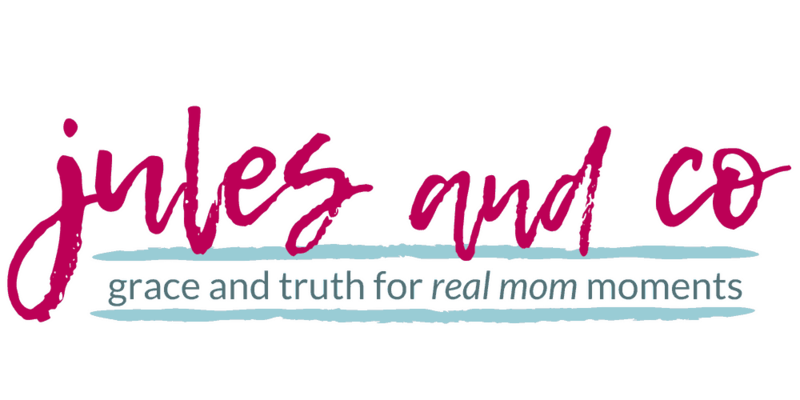 If you’re looking for the perfect combination of early learning and Bible learning, check out my Bible curriculum for toddlers and preschoolers! The God’s World curriculum is designed to make it easy to teach your child God’s Word. 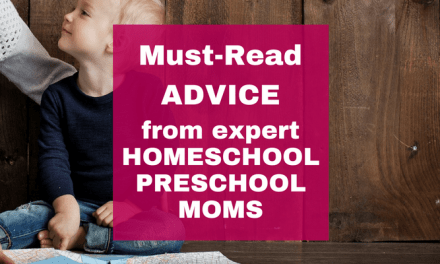 Plus, as a former teacher, I’ve integrated key early learning skills into each activity. 3.) encourage an appreciation for God’s beautiful creation! 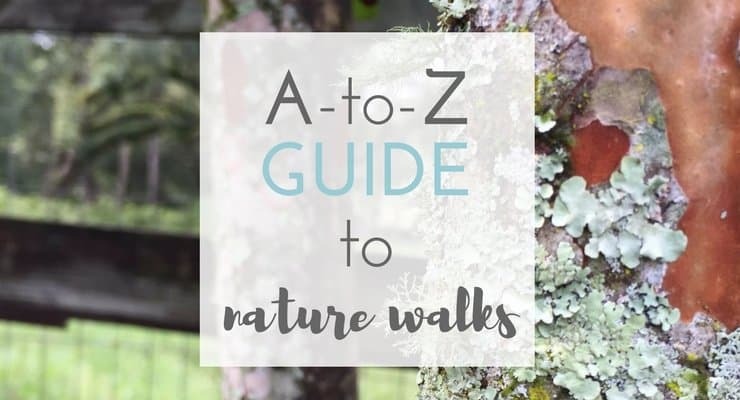 This curriculum is the perfect guide to planning those morning activities. Try it out! It’s only $4, plus I have a 100% money-back guarantee if it’s not the right fit for you. 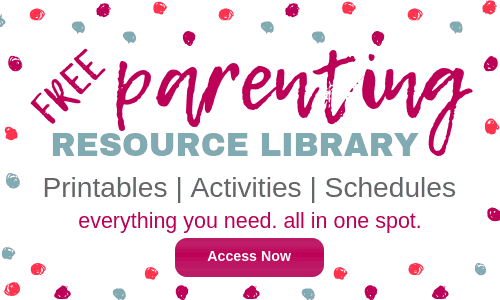 PreviousClever Solutions to Create a Kids Schedule that Works! 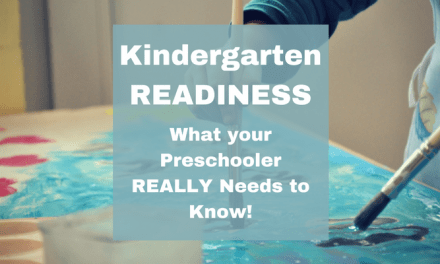 Kindergarten Readiness: What Does my Preschooler Really Need to Know?